As stakeholders from the European process industry continue their search for measures to facilitate the transfer of innovation to the market, the Horizon 2020funded SPIRE project HARMONI (Harmonised assessment of regulatory bottlenecks and standardisation needs for the process industry) has acted as a catalyst, bringing together over 150 experts to foster innovation activities. On 16 and 17 January, the 2019 HARMONI Summit took place with the objective to encourage dialogue on an effective framework to facilitate and foster innovation. 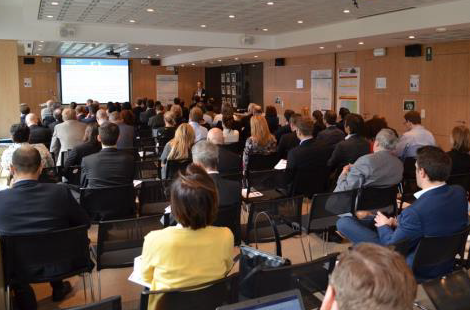 More than 150 experts from all sectors of the process industry, the European Commission and European standardisation bodies engaged in the exchange of ideas. The summit addressed solutions for non-technological challenges that hinder innovation and the transfer of solutions, such as regulation, standardisation needs and the lack of innovative business models. 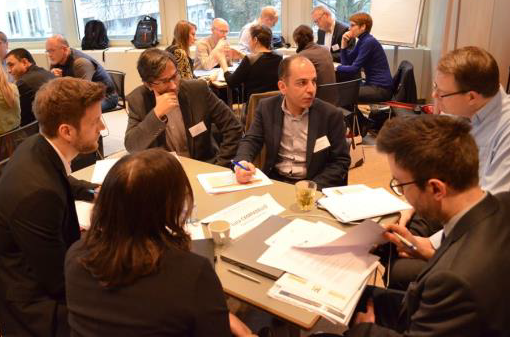 Based on the themes within the HARMONI project, the summit selected priority discussion areas that included innovation transfer and the harmonisation of EU regulation and EU standardisation. Six sessions took place during the two-day workshop, dealing with context specific priority areas, such as the circular economy, CO2 valorisation and waste management. Each session included experts, and opportunity for Q&A’s, as well as working groups and discussion panels. This allowed for a hands-on evaluation of possible solutions for industry needs while, in parallel, giving a voice for representatives from the European Commission in an open and transparent dialogue. HARMONI, in the words of the DG Research and Innovation, “can play a very interesting role in the future of the Horizon Europe Programme”, especially due to its good practise of integrating regulation and standardisation. The HARMONI project continues until October 2019. The results of the project mainly address industry, regulatory and standardisation bodies. Identified priorities and results from the working groups will serve to provide recommendations to the responsible authorities. The HARMONI team welcomes your input and looks forward to engaging with you in order to move towards a sustainable and competitive European process industry. Why not subscribe to the HARMONI newsletter to keep up to date with upcoming events and results? HARMONI aims to bring together all the relevant stakeholders in the process industry to jointly identify, analyse and propose solutions to the regulatory bottlenecks and standardisation needs that hamper their innovation processes and the market uptake of their results. To do this, the project is developing and applying a methodology that ensures effective collaboration between the eight sectors involved in the SPIRE contractual Public Private Partnership to elaborate the solutions to the common challenges they face due to non-technological barriers including regulatory issues and lack of appropriate European Standards relevant to improving resource efficiency. In addition, HARMONI is analysing, comparing and proposing recommendations to trigger the transferability of technical solutions among and beyond the SPIRE sectors. The project activities should enable an optimised EU regulatory and standardisation framework that facilitates and supports innovation in the process industry; improved participation of the SPIRE community in EU regulatory and procedures; earlier and more active involvement of the SPIRE community in the EU standardisation process; and an overall better environment that maximises transferability rates for technologies across SPIRE sectors. For more information, please take a look at the HARMONI website.